Hydroelectric Power: Energy Source Fact File! How do you generate electricity from water? What is hydroelectric power? Here’s the need-to-know stuff about the energy source, hydroelectric power! Hydroelectric power harnesses the energy in running water! Where can you find hydroelectric power? Hydroelectric dams can be found all over the world, where large amounts of water can be trapped behind a reservoir. ‘Run of the River’ hydro systems don’t use a dam and reservoir, but harness the energy in fast-flowing rivers! 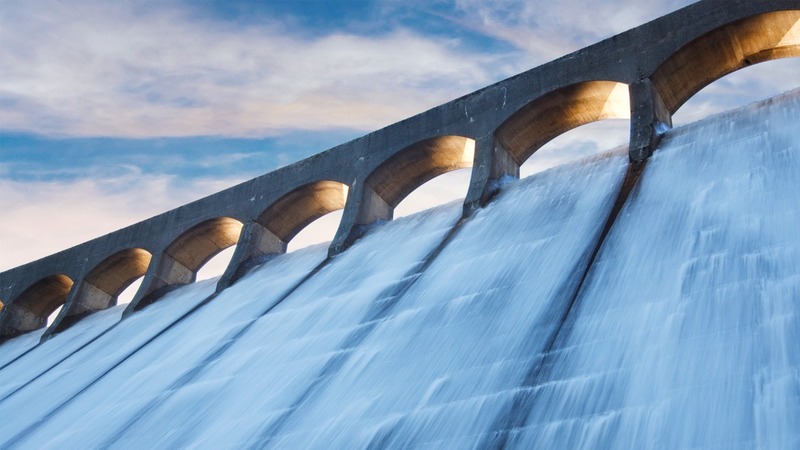 What are the advantages of using hydroelectric power? Water is plentiful, free, and renewable. Hydro-electric power does not produce any carbon dioxide emissions when using water to produce electricity. Electricity can be generated 24 hours a day as long as there is enough water. But this can’t happen every day as the reservoir needs time to fill up again from time to time. The dam gates can be opened and closed to control when the electricity is made. The amount of electricity produced can also be controlled by changing how much water can flow. It is much more reliable than wind and solar power, although it does depend on enough rain, especially for ‘run of the river’ systems. What are the disadvantages of using hydroelectric power? It is very expensive to build a dam, and construction can produce a lot of emissions. When a dam is built, a huge area is flooded to make a lake. The water displaces the people and animals living there. It can be difficult to find a suitable site for a reservoir or a dam. There are very few available sites for new plant in the UK. There can be negative environmental impacts. Water quality and quantity downstream can be affected.